Home › Joseph P. Newhouse, Ph.D.
Joseph P. Newhouse, Ph.D., is John D. MacArthur Professor of Health Policy and Management at Harvard University, director of the Division of Health Policy Research and Education, chair of the Committee on Higher Degrees in Health Policy, and director of the Interfaculty Initiative in Health Policy. He is a member of the faculties of the John F. Kennedy School of Government, the Harvard Medical School, the Harvard School of Public Health, and the Faculty of Arts and Sciences. In addition, he is a faculty research associate at the National Bureau of Economic Research. Dr. Newhouse received his B.A. and Ph.D. in economics from Harvard University. Dr. Newhouse spent his early career at RAND. While at RAND, he designed and directed the RAND Health Insurance Experiment, which was a 15-year, multimillion dollar effort to study the consequences of different ways of financing medical services. It remains the largest health policy study in U.S. history. He was the founding editor of the Journal of Health Economics, which he edited for 30 years, and is currently a member of the editorial board of the New England Journal of Medicine. Dr. Newhouse was elected to the Institute of Medicine (IOM) in 1977, served two terms on its governing council, and in 2009 won the Adam Yarmolinsky Award for meritorious service to the IOM. He is a past president of the Association for Health Services Research (now AcademyHealth). Dr. Newhouse has served as the principal investigator on multiple HCFO grants. In the early 1990s, he and co-principal investigator Arnold Epstein, Ph.D. (also of Harvard University), studied the impact of Medicaid expansions to poor uninsured women on maternal and infant health outcomes. They studied two states—South Carolina and California—and found small and/or inconsistent changes in outcomes such as caesarean rate and prematurity. Their work showed that while coverage expansions are a logical first step to improve care for uninsured populations, sustained improvements in health may require greater efforts in care coordination and outreach. In another HCFO grant during the same time period, Dr. Newhouse evaluated a 1986 initiative in Tennessee that raised primary care physician Medicaid fees by 50 percent in nominal terms and 25 percent relative to Medicare. The goal of the study was to determine if this fee change resulted in improved access to primary care by shifting care toward physician offices and away from more costly hospital-based settings. He found that patients shifted care from clinics to offices, but that there was little or no shifting from hospital outpatient departments and emergency rooms. The results provided valuable information about the potential costs and effects of increasing Medicaid fees. In his most recent HCFO grant, Dr. Newhouse examined the impact of payment changes for chemotherapy drugs mandated by the Medicare Modernization Act in 2003. Specifically, he, together with Mireille Jacobson and Craig Earle, estimated the effect of the significant payment reduction on incentives to prescribe chemotherapy, the probability of using chemotherapy, and the choice of chemotherapy agents administered to newly diagnosed cancer patients. Contrary to concerns about access, Dr. Newhouse and colleagues found that the changes actually increased the likelihood that lung cancer patients received chemotherapy. The type of chemotherapy agents administered also changed—physicians switched from dispensing the drugs that experienced the largest cuts in profitability, carboplatin and paclitaxel, to other high-margin drugs, like docetaxel. These changes may have offset some of the savings projected from passage of the legislation. The project’s results illustrated that payment reforms have real consequences and should be undertaken with caution. 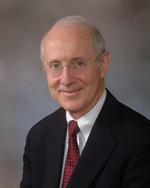 For more information on Dr. Newhouse’s research, visit his faculty page at Harvard Medical School: http://www.hcp.med.harvard.edu/people/hcp_core_faculty/joseph_newhouse.